There are a variety of issues surrounding the topic of water supply. These topics can range from the safety of the drinking water supply to protecting and conserving the supply of water. At the very heart of affecting positive results in dealing with any matters of concern is communication. Communication stimulates education, understanding and idea sharing. Effective communication not only provides information but also seeks response. Local governments are often required to communicate to their citizens about issues of public concern and health. The ability of a community to effectively address these problems depends on the quality of the communication. How well does the Village of Schaumburg communicate the various issues related to water supply to its citizens? Probably the most critical aspect surrounding water supply is the issue of safety, specifically the safety of drinking water. The Safe Drinking Water Act (SDWA) which became law in 1974 was the first of its kind enacted to regulate water quality under the Environmental Protection Agency. The regulations established under the SDWA govern all public water systems in the United States. The intent of the law at the onset was to provide safe drinking water at the tap (Water: Safe Drinking Water Act, 2011). The Safe Drinking Water Act Amendments of 1996 provided somewhat expanded directives including enhancing the information provided to consumers. The Consumer Confidence Report Rule was implemented to aid in improving the communications process. The rule mandates that public water suppliers (those who serve at least 15 service connections or regularly serve at least 25 year-round residents) provide their customers with Consumer Confidence Reports, also referred to as Annual Drinking Water Quality Reports (Water: Consumer Confidence Report Rule, 2011). 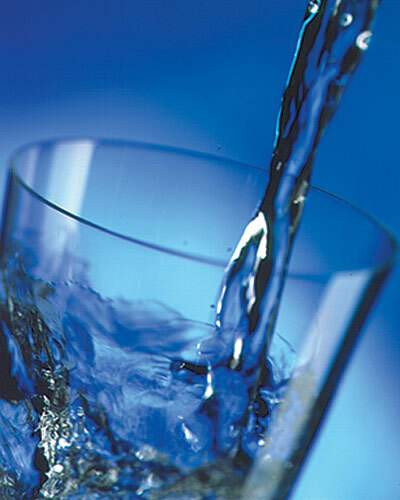 The EPA establishes ten specific informational items which must be included in the annual drinking water quality reports, as detailed on the EPA‘s website. Reports are required to be provided to customers by July 1st annually for the previous year end data. The regulation states in Sec. 141.155(a) that reports must be mailed or otherwise directly delivered to the customer (National Primary Drinking Water Regulation: Consumer Confidence Reports; Final Rule, 1998). The Village of Schaumburg does indeed provide Annual Water Reports to its customers. Internet access to a total of four years reporting (the current year and three historical years) is available through the Village of Schaumburg website. A review of the Village’s reports reveals that all of the pertinent required information is included in the document; each of the ten items mentioned above can be readily found. Unfortunately, the information provided, with the exception of the actual data relative to sampling results, is almost exactly identical year to year. There is even a published notice calling attention to this fact: “You may notice that most of the wording in this year’s report is identical to last year’s report. That is because the wording is mandated by the EPA and must be in the report every year” (Water Quality Reports, n.d.). Consumers are provided a name and number of an individual to contact with questions about the report contents. Attempts to reach the named individual have proven to be unsuccessful as of this writing. Relative to report years 2009 through 2011, the only differences to be found are in the layout of the information, graphics, and the headings of one section. Amazingly, an estimated 95% of the information contained in the three years reports is identical, word for word! How does changing the pictures and order of information presented improve communications? Does the practice stimulate consumer awareness or does it implicitly send the message that the information contained in the report is merely to be cast aside and not questioned? Why would a public organization completely waste an opportunity to provide its captive audience with information that would help improve their quality of life in future years? The regulation: Section 1414(c)(4)(B) also provides that a community water system may include any additional information that it deems appropriate for public education (National Primary Drinking Water Regulation: Consumer Confidence Reports; Final Rule, 1998). The introductory paragraph to the ten requirements referred to above states, “While water systems are free to enhance their reports in any useful way, each report must provide…” (Water: Consumer Confidence Report Rule, 2011). While there is no doubt that the EPA does mandate inclusion of specific information and in many instances provides suggested or even mandated language, it must be noted that it mostly likely did not intend to provide a boilerplate report that requires so little effort as to change the dates and data and call it compliance. 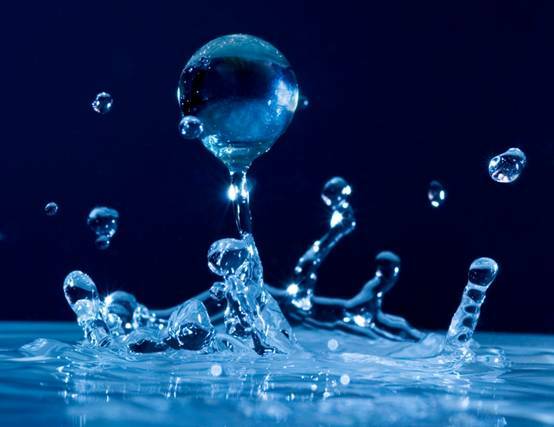 In the yearly reports for 2009 and 2010, there were two sections present that were not included in the 2011 report: Cryptosporidium and Water Conservation. One of the sections present in all three reports includes the section titled “Important Health Information” which directs consumers to the U.S. EPA/CDC for further information available to protect against the possibility of exposure to cryptosporidium (Water Quality Reports, n.d.). The observation here relates to why the paragraph that provided additional information regarding cryptosporidium, a microbial contaminate, was eliminated from the 2011 report. Reasoning would indicate that if the contaminate warrants a specific statement under “Important Health Information,” having additional information readily accessible serves the best interest of the community. Also present in the 2009 and 2010 reports but absent 2011 is the section on water conservation. It is hard to imagine that information relative to conserving future supplies would not be deemed as appropriate for public education. Does this imply that the Village of Schaumburg considers its Lake Michigan source to be infinite? Worse, does this convey to residents that the Lake Michigan source is infinite? It should be noted that Schaumburg’s 2011 report does contain a new section devoted to understanding Pharmaceutical and Personal Care Products (PPCPs) which is an issue of growing concern, primarily due to increased usage of prescription drugs. There are still a great number of people who do not realize the effect that improper disposal may have on water supplies. Efforts to communicate this more recently emerging issue are timely and deserving of continued emphasis.